下腰痛的自我康复训练 - 运动康复与损伤 - 运动健康网 - Powered by Discuz! Early treatment seems to be key to decreasing your pain and getting back to full activity. Treatments that focus on exercise and staying active limit the amount of time your back pain lasts and reduce the chance that it will reoccur. 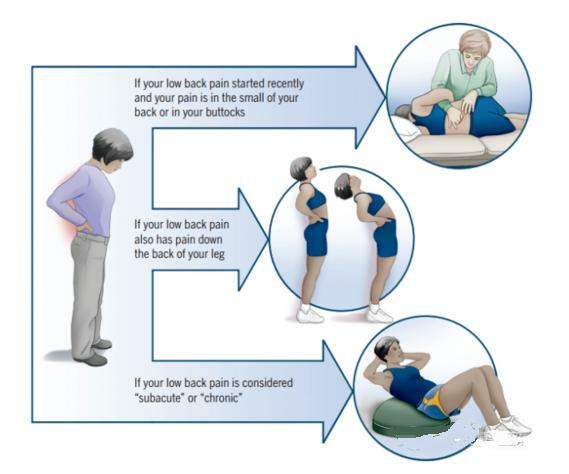 Based on your examination, the best treatment for acute low back pain may be manual therapy (mobilization / manipulation) or exercises that restore motion anddecrease pain in the leg that is linked to your low back pain. Exercises that improve coordination, strength, and endurance are best added to treatment once the pain lessens. However, if your pain becomes chronic, moderate- to high-intensity exercises and progressive exercises that focus on finess and endurance are helpful in pain management. Do 10 to 25 repetitions, then relax. 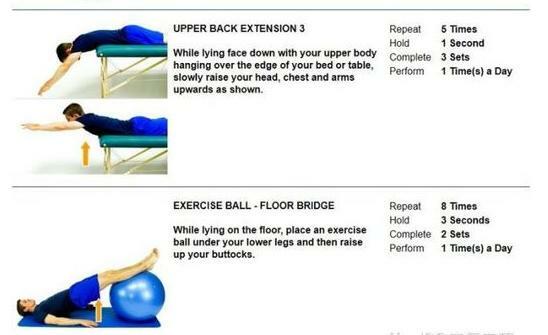 Do not attempt this exercise if the pain is too severe. This exercise builds strength in the lower back area. Keeping your knees bent, squeeze the buttocks and hold for a second or two,then relax. Do 10 repetitions. This is another strength-buildingexercise. Pull one knee toward your chest and hold a second. Extend the otherleg out atthe same time. Stretch the back muscle on one side, then repeat withthe otherleg. Repeat 10 times. 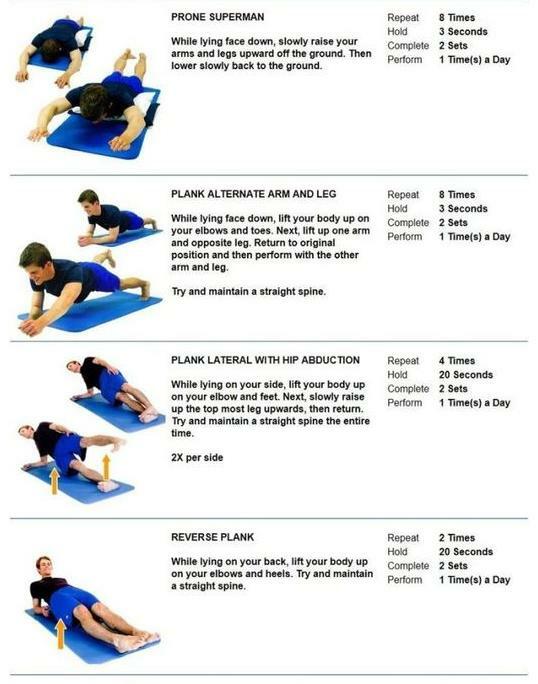 Discontinue the exercise if pain is overbearing. Pull one knee toward your chest and hold a second. Extend the other leg out at the same time. Stretch the back muscle on one side, then repeat with the other leg. Repeat 10 times. Discontinue the exercise if pain is overbearing. A helpful starting exercise is controlled,gentle spine movement with the Cat & Camel. First arch your back up towardthe ceiling, like an angry cat. Increase the movement with a deep inhale. Thenexhale, tighten (or brace) your abdominals, drop your chest toward the floorand lift your head slightly as shown. Repeat this exercise 10 times. Staying in the same position, bring both knees up together and holdthatposition for a second or two. Drop your feet to the floor and repeat again.Do this 10 times. Hold the position for 5 to 7 seconds,release and relax for 2~3 seconds before repeating. GMT+8, 2019-4-24 14:08 , Processed in 0.109375 second(s), 29 queries .